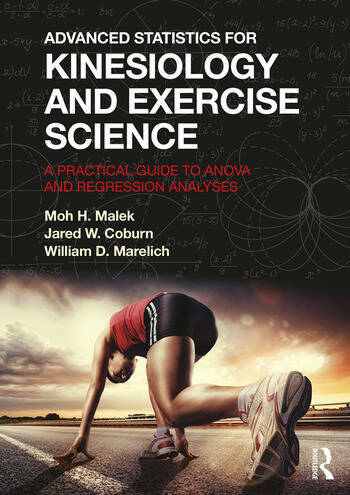 Drawing clear lines between the use of IBM SPSS Statistics software and interpreting and analyzing results, and illustrated with sport and exercise science-specific sample data and results sections throughout, the book offers an unparalleled level of detail in explaining advanced statistical techniques to kinesiology students. Advanced Statistics for Kinesiology and Exercise Science is an essential text for any student studying advanced statistics or research methods as part of an undergraduate or postgraduate degree programme in kinesiology, sport and exercise science, or health science. 1. What’s stats got to do with it? Moh H. Malek, Ph.D., FACSM, FNSCA, CSCS,*D, is an Associate Professor (tenured) of Physical Therapy in the Department of Health Care Sciences at the Eugene Applebaum College of Pharmacy and Health Sciences at Wayne State University in Detroit, Michigan, USA. Jared W. Coburn, Ph.D., FASCM, FNSCA, CSCS,*D, is a Professor (tenured) of Kinesiology in the Department of Kinesiology at California State University, Fullerton, California, USA. William D. Marelich, Ph.D., is Professor (tenured) of Psychology in the Department of Psychology at California State University, Fullerton, and a consulting statistician for Health Risk Reduction Projects, Integrative Substance Abuse Programs (ISAP), Department of Psychiatry and Biobehavioral Sciences, David Geffen School of Medicine at the University of California, Los Angeles, USA.